Weight for Life’ is a wellness program designed by our highly qualified Naturopaths with your wellbeing in mind. Our aim is to both inspire and assist you to achieve a healthy weight, maintain it for life and provide you with the tools to be your best and feel on top of the world! Everyone’s lifestyles today are hectic, time poor and often there’s little time available to focus on one of the most important aspects of life, health! Our goal is to educate you on how to utilise the time and resources you already have, and help show you how to lead a happier and healthier life. We all know excess fat is detrimental to everyone’s health, and increases your risk of Type 2 Diabetes, depression, heart disease, hypertension, asthma, stroke, arthritis, reproductive complications and some types cancer. The ‘Weight for Life’ program is developed specifically to help you loose excess fat and keep it off for life! We have 8-week and 12-week packages available. They say it takes at least 21 days to break a habit, so these timeframes allow enough time to break those bad habits, form new ones, achieve goals and see changes! Once you have finished the program your practitioner is still available to guide you further and help keep your health in check. That is a saving of almost 30% off each program. There are so many programs available on the market now that focus on calorie restriction and long-term deprivation to promote weight loss. 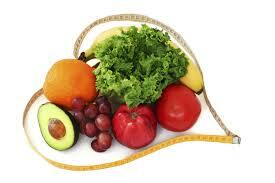 However many of these programs lack the other vital components of weight management. It is these components that can significantly impact the ability to loose weight in the first place, as well as maintaining a healthy weight and vitality status in the long-term. Our program focuses on all of the necessary components and provides you with tools to easily integrate each component into your lifestyle. Get ready to experience the difference when you place your weight loss needs in the hands of experience, trained and qualified health professionals who understand the chemistry of weight loss. A healthy weight is not just about the numbers on the scale, but more importantly how you think and feel about your body inside and out. We want to inspire you to do the things that make you feel happier, healthier and better about yourself. Most importantly our priority is to provide you with the tools to achieve your individual goals and be able to maintain a healthy weight for life. If you would like some more information on how this program can benefit you, take advantage of our introductory FREE 15 minute consultation offer with one of our fully qualified practitioners to learn more!